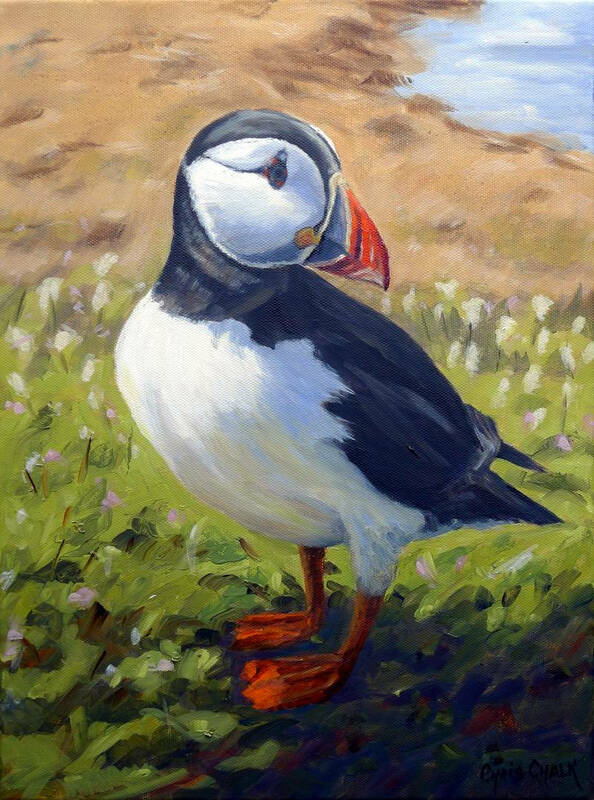 This feisty puffin painting was inspired by a recent trip to Skomer island, here in west Wales. Skomer is a magnificent nature reserve, where tens of thousands of puffin nest and breed each year. "Balod ( Puffin in Welsh )"
Painted on Loxley Gold stretched canvas, 16 inch x 12 inch x 1/3 inch - Here I am working on the painting before it was completed. This painting can be framed, or hung un-framed.